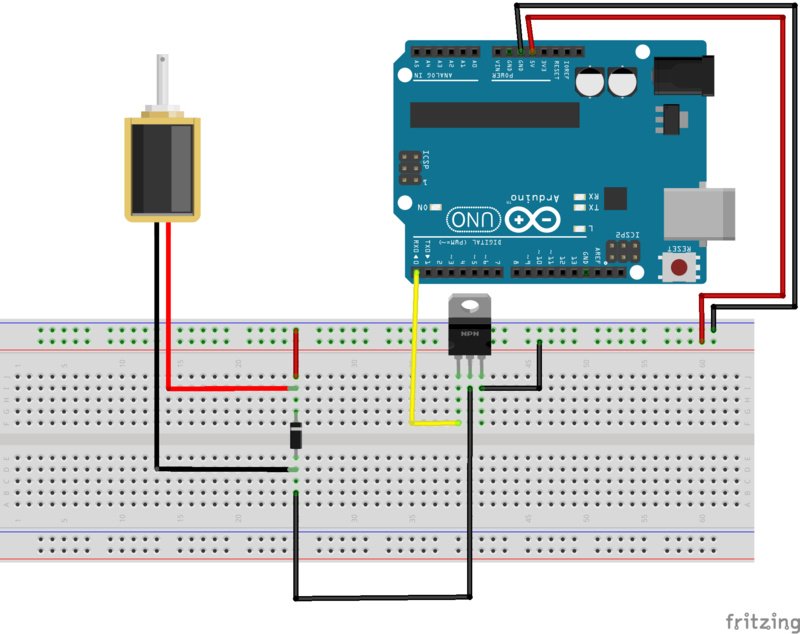 I'm using my Arduino Uno to control a 5V 1A solenoid. When I power the solenoid with my 5V 10A my power supply, the solenoid doesn't push on command. It merely "vibrates," travelling only about .5mm at several hundred Hz. The solenoid vibrates constantly the moment I plug in the power supply, and does so completely independently of whatever interval I have set it to "blink." Any ideas as to what may be causing this to work with the Arduino's built in power supply, but not with an external power supply? I've tested the voltage on my power supply, and it reads 5V as advertised. I'm somewhat new this, and feel like I may be missing something obvious. the external supply and the Arduino do not share a common ground as they should. Not the answer you're looking for? 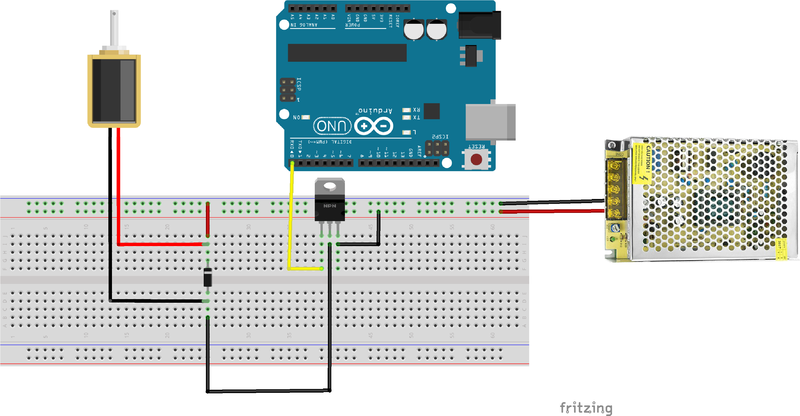 Browse other questions tagged arduino-uno power transistor mosfet or ask your own question. Ideal settings for regulated power using Arduino Uno VIN?